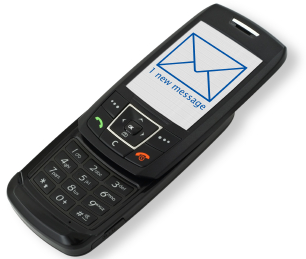 In some cases we will need to to recover accidentally deleted SMS messages and contact numbers. However it is not very easy to recover deleted SMS and other data from phone SIM card. Here we will need data recovery software that can scan specific portion of SIM card to recover messages. The theory is that if we have enough space to store new SMS messages, the old deleted ones remain inside SIM card. So you may not be able to see those messages in mobile. But you can recover that from SIM directory using some software. Here we have two methods Recover deleted SMS from mobile SIM cards. Restore deleted SMS from SIM using SIM manager software. Dekart SIM manger is a shareware Windows application that be used to do everything related with mobile SIM cards. You can read from SIM, write, change PIN, get contact numbers stored, last numbers dialed and SMS messages. Here we are using the SMS messages option for restoring deleted ones. Download Dekart SIM manager and install. This application is free for 30 days. Connect your SIM card using some card reader and launch SIM manager application. Select SMS messages. Now you can see all those messages and phone numbers they came from. SMS marked in red are deleted SMS. Select the required message to be restored, right click > undelete. That’s all, now you can read deleted SMS from your inbox. In this method we are using a free mobile application for Symbian phones, called Fexplorer. It is usually used to explore the internal files and folders of a Symbian devices. After download, explore to to your phone memory card (usually C) and select System and then mail . Here you would see few folders like 00001001_S or similar ones.There should be some similar files inside these folders. These are actually the deleted SMS messages. Recovery software actually collects these messages. Copy this file to a normal location accessible on mobile, transfer to desktop and open it using Notepad. This method is pretty much difficult. But it would be useful in needy situations. We usually use the first method to restore deleted SMS and contacts from SIM card. The second method might be useful for people using old Nokia phones. here too…Fexplorer not functin for n95 either. Hi, i have installed the programme successfully onto my Nokia N95 GB8. I can access the application but i cant find the path you describe. After i click into system in the C drive, there is no mail file. All there is: Apps, DATA, dmgr, Install, temp, system.ini. Some files say private and i cant access them. Can you please help? Please, I need you to do a favor for me. I will send you my complete set of mobile phone + new flash memory in order to retrieve/back up all deleted messages and receiving and dialing contact numbers. Then send it back to me. Please do this job for me, due to I am very poor in down loading and retrieving this new technology. If you are unable to do this job, please advise me who can do it for me. Your kindly assistance and support is very highly appreciated. i am having a samsung mobile phone model JET 8000.
two days back i tried to acess the internet via phone but failed in doing so. .can u suggest any solution for the same. urgent contacts were so imp ……..
it it works on only old versions? i want to retrieve deleted msgs of a particular number from my cell.those msgs are almost 10 months old? can u suggest me how i can do that? its urgent. my original sim card was snapped in half. is there any way to retrieve deleted messages? I have LG kp105, i would like to reconvered deleted sms. How to do it? is there any way i can retrieve my messages and contacts? здравеите имам гсм LG GS290 мога ли да вастановя всики истрити смс. We recently bought an Samsung chat335 mobile and while initializing all the contacts from the phone memory and the SIM memory got deleted. There were about 1000 contact numbers stored in it. could you please suggest some way to retirieve the contact numbers. Can i contact the samsung service centre for any help? Please help me! Expecting your reply. accidentally, I have deleted some messages from my Nokia n8 mobile (with symbian belle). Can anybody help me to restore those messages to my phone. How to Recover Deleted Contacts from Android phone sim card ???????? Good day I need to urgently retrieve deleted messages. Can you please assist me with that. There are many data recovery on the Internet, like Wondershare or FonePaw Android Data Recovery, which can recover kinds of deleted files from Android smart phone. Including contacts, text messages, photos, videos, WhatsApp messages etc. I think it’s kind of powerful.